How often Dear Reader, do you read a recipe and realise that you have absolutely everything to hand to make it right then and there. I must admit that when it happens, I start thanking the stars and the culinary gods, especially if it is using up leftover items. Since the weather has been so warm, I've been making plenty of this Vietnamese chicken salad. Which meant that I had bought a lots of cucumber, lime and mint. I was going to make either a second serve but then I spied the half avocado in the fridge. I regarded it with a sigh. It was a perfect specimen, not a single spot on it and I wanted to use it in something other than a sandwich. 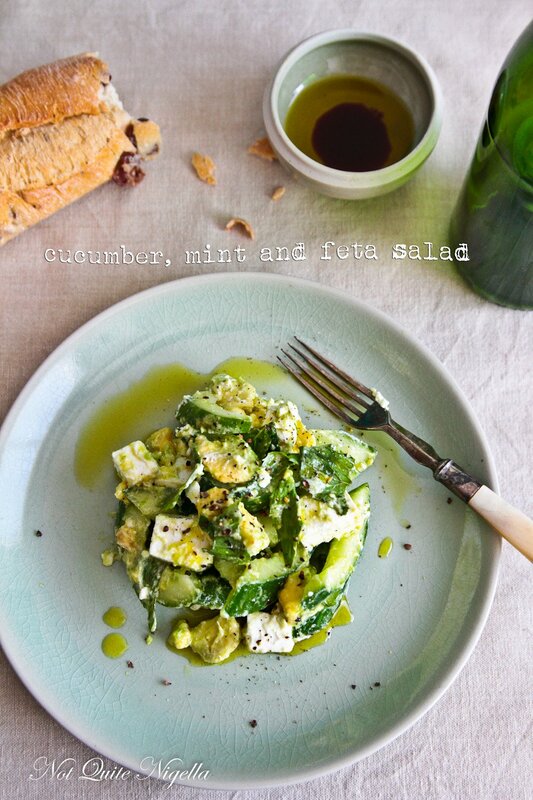 Enter Rachel's blog where she made a cucumber, mint and feta salad. 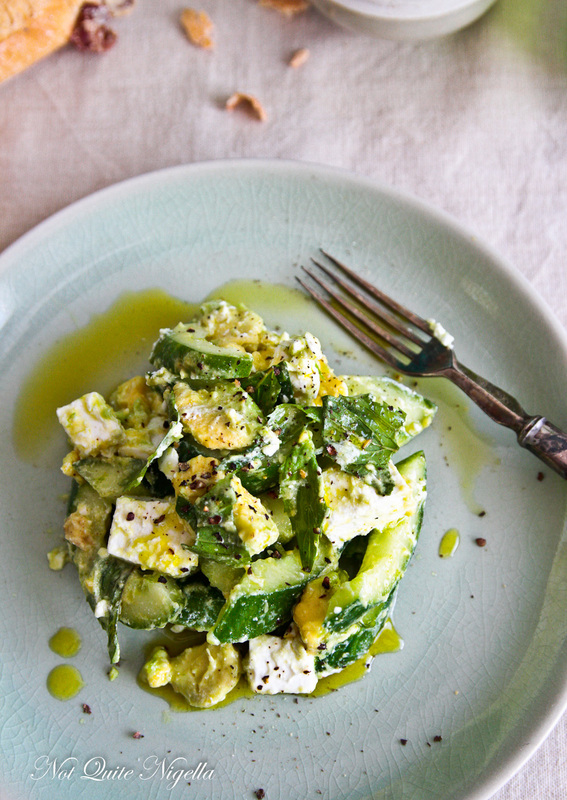 I did a mental checklist and realised that I also had feta leftover from a recipe that I never made. So with my stomach growling for something to eat, I took everything out of the fridge and within 5 minutes flat I had a delicious fresh and cooling salad. So tell me Dear Reader, does that ever happen to you? Step 1 - You can peel the cucumbers but I don't bother. 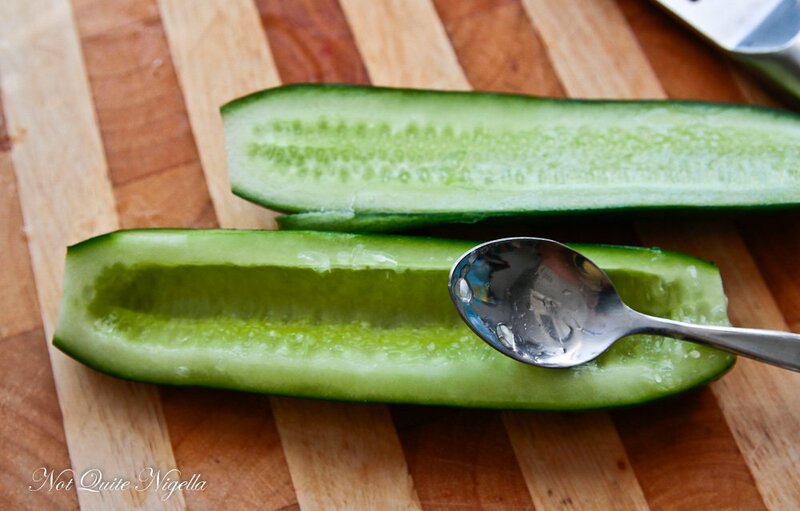 Trim the cucumbers on each end and sliced in half lengthways. Scoop out the seeds and discard. Slice diagonally into bite sized pieces. Place in a bowl. 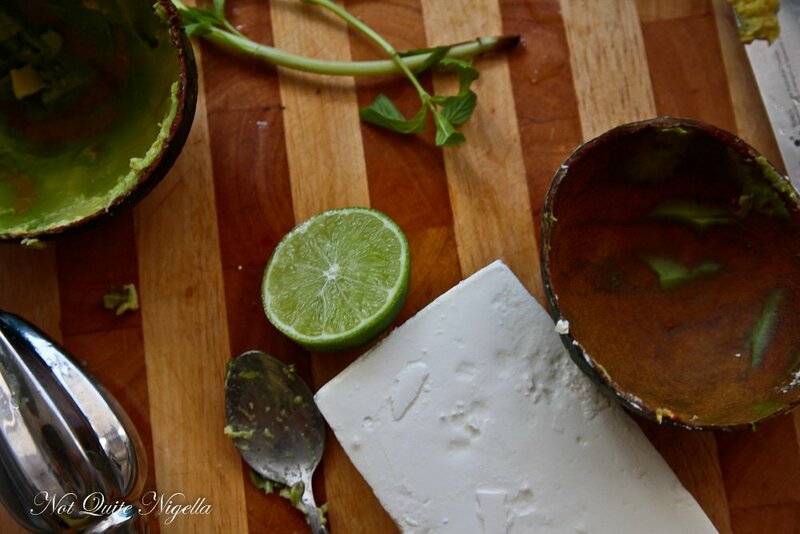 Step 2 - Cut the avocado up into small cubes and do the same with the deta. Mix these with the cucumber and add the fresh mint. 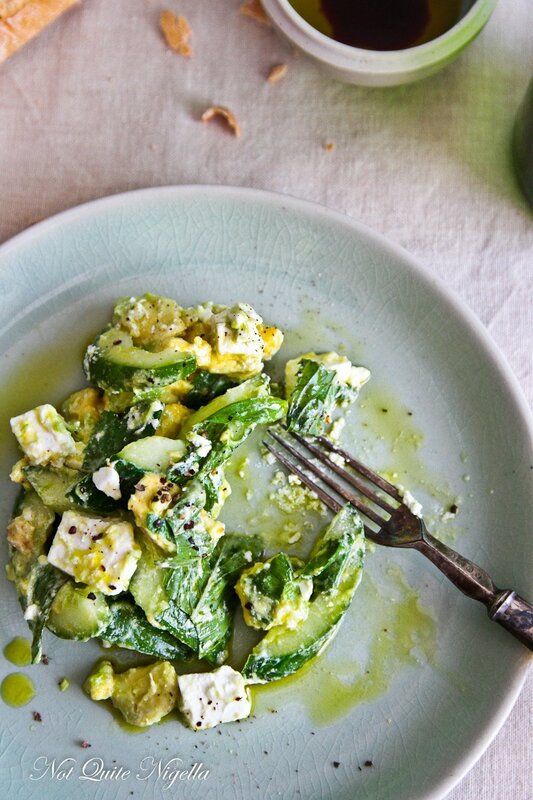 Whisk the lime juice, zest, olive oil and sugar in a small bowl or jug and then pour over the salad. Toss the salad and add black pepper.